Welcome to the website for the 3rd Central Massachusetts Middle School Cross-Country Invitational Meet that is scheduled for Thursday, October 24, 2019. All middle school runners from public schools, private schools, and parochial schools, in grades 5-8, are welcome to participate. Please review the website for all meet information and registration deadlines. This meet is open to all middle school runners in grades 5-8 who attend public schools, private schools, and parochial schools. 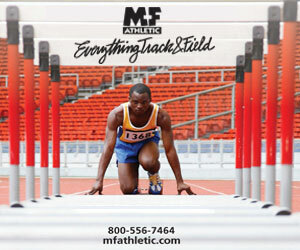 The entry fee is $8.00 for each team athlete participating at the meet. Divisions are based on 2018-2019 enrollment data (grades 6-8) posted at the DESE website. Click HERE to determine your school’s enrollment and division. Runners will run a total distance of 1.6 miles. A course map will be emailed to all coaches a week before the race. T-shirts will be sold for $15. Coaches must email a team roster to the Meet Director by Saturday, October 19, 2019. The roster must be an Excel spreadsheet using the following format: Column 1 – First Name, Column 2 – Last Name, Column 3 – School, Column 4 – Grade, Column 5 – Gender. A check or school purchase order must be received(masschamps@gmail.com) by Tuesday October 22, 2019. If a payment or a purchase order is not received by this date, your team will not participate. No exceptions will be made. There are no refunds(unless the meet is canceled) – this is an entry fee, not a participation fee. There are portajohns on site. Please do not “use” the woods. There is no dressing area/lockers. Come ready to run. Heavy rains may cause a delay to the meet schedule. In the event of torrential rains, the meet will be postponed to Friday, October 25, 2019.